De Ruijter International USA, Inc. | Why use Nitrile Rubber in mats? Home › Why use Nitrile Rubber in mats? Why use Nitrile Rubber in mats? For mats used in a greasy or oily application, Nitrile Rubber is a must! Nitrile provides excellent resistance to petroleum oils and gasoline, as well as mineral and vegetable oil. It also offers strong resistance to heat aging. 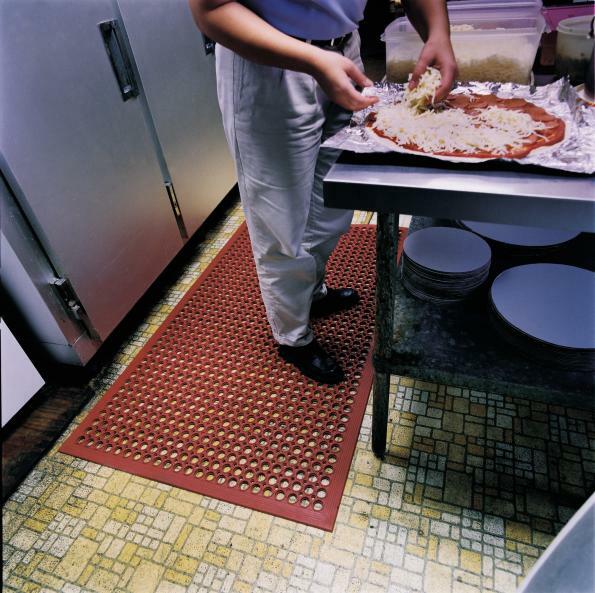 Our red, grease and oil resistant mats have approximately 30-40% Nitrile Rubber in the mix. We found that this makes for the perfect combination to keep the mat from soaking in oils and other greasy substances. 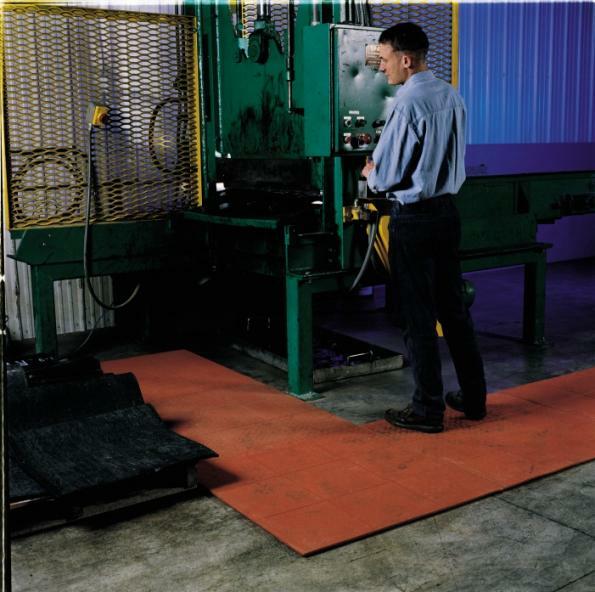 For most areas, such as kitchens/bars and warehouses/workshops, our standard red mats are an excellent fit. 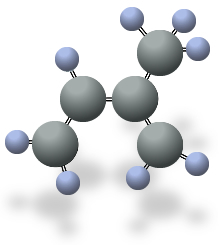 Along with the Nitrile, we also add various other polymers to help stabilize the absorption of oils and lubricants. As experts in the rubber industry, we have the knowledge and ability to compound various recipes to make mats that not only hold up to greasy/oily conditions, but are also competitively priced. If you are looking to place the mat in an extremely oily application, we suggest using a 100% Nitrile Rubber Mat. We can accommodate you by special ordering these to fit your specific needs. Nitrile mats are not limited to the standard red. We can make a Nitrile Mat in any color. Contact us for more information regarding our Nitrile Mats and how they can be used to fit your specific needs.